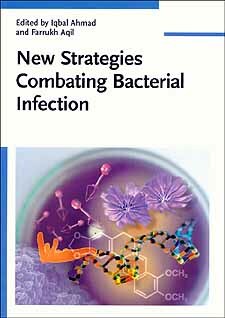 New Strategies Combating Bacterial Infection adopts a novel approach, focusing on combating multi-drug resistance in bacteria by developing antibacterials with new target sites, using new advances in drug discovery as well as natural products. Divided into three sections, the first describes the problem of drug resistance and the need for new drugs, while the second treats recent trends and new classes of drugs, including relevant developments in transcriptomics and proteomics leading to new antimicrobial drug discovery, and a new generation of antibiotics and non-antibiotics. The third section on natural products discusses the antibacterial action of phytocompounds, plant extracts, essential oils and honey as well as the role of probiotics in bacterial infections.